You know about the proverbial pot of gold that sits at the end of the rainbow, right? Well, there’s a spot kind of like that at Laurie’s. And you don’t even need a leprechaun to show you the way. We call this sweet spot the Game Room. 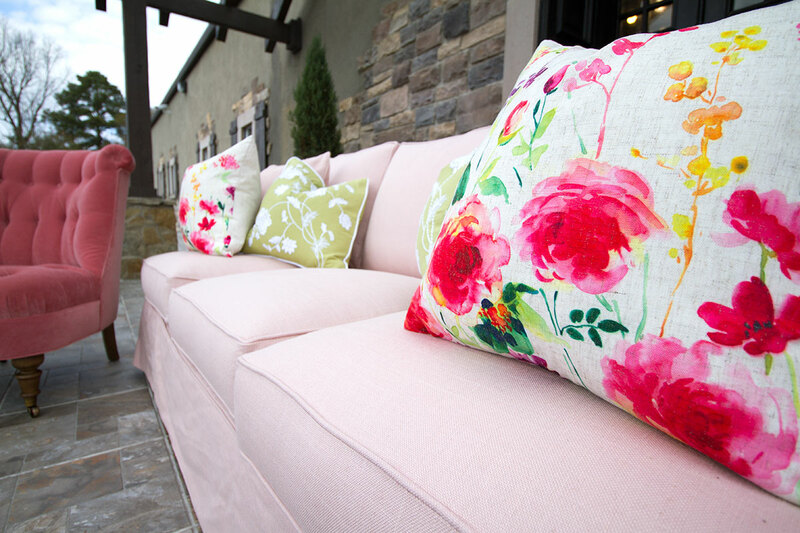 It holds everything that sparkles, glitters and shimmers with that breathtaking dazzle that makes you sit back and say “Wow.” Of course, you may not want to just sit back once you get inside, as there’s a bevy of treasures to explore. Chandeliers are sparkly by their very nature, and those in our Game Room have the extra oomph that put them over the top. Whether you’re into gold scrolls or dangling crystals, Laurie’s Game Room chandeliers can really light up your life. 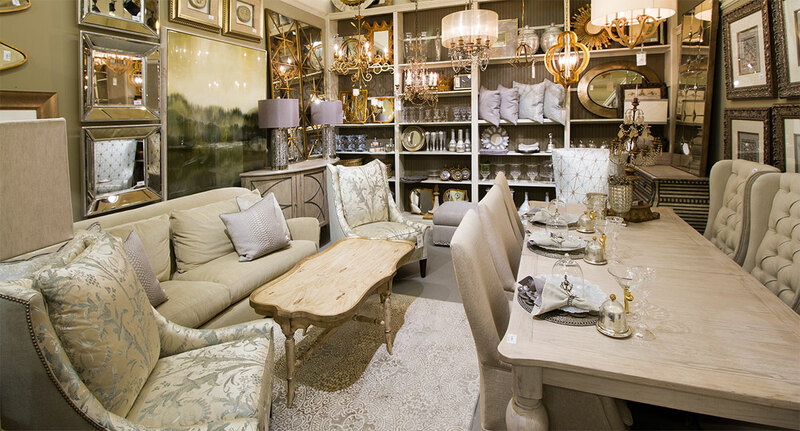 Check out the lamps and candle holders while you’re at it! 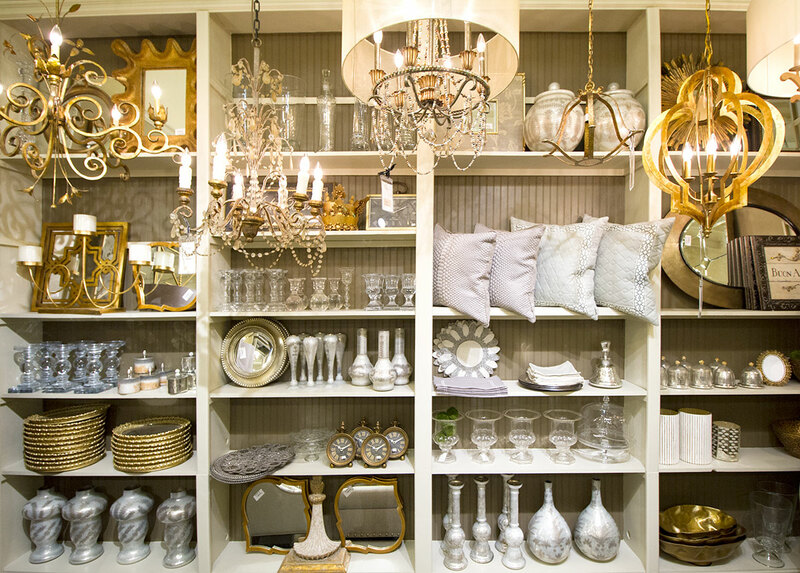 Silver and gold particularly shimmer and shine when they’re placed around plenty of glass items. 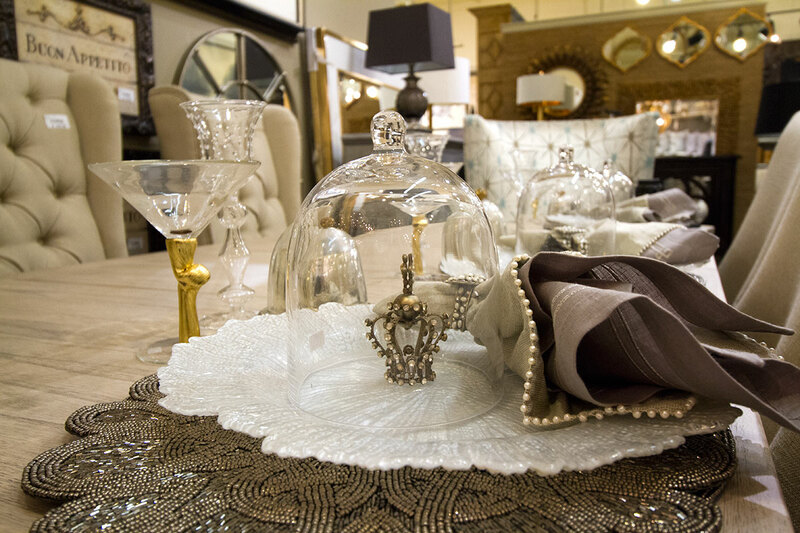 These can include stemware, mirrors and domed glass plate covers embellished with bling. Highly polished picture frames are another way to show off your game while showing off your favorite photo of your dear Aunt Mildred. More metallic luster leaps from just about every corner of the room, right down to the last detail. 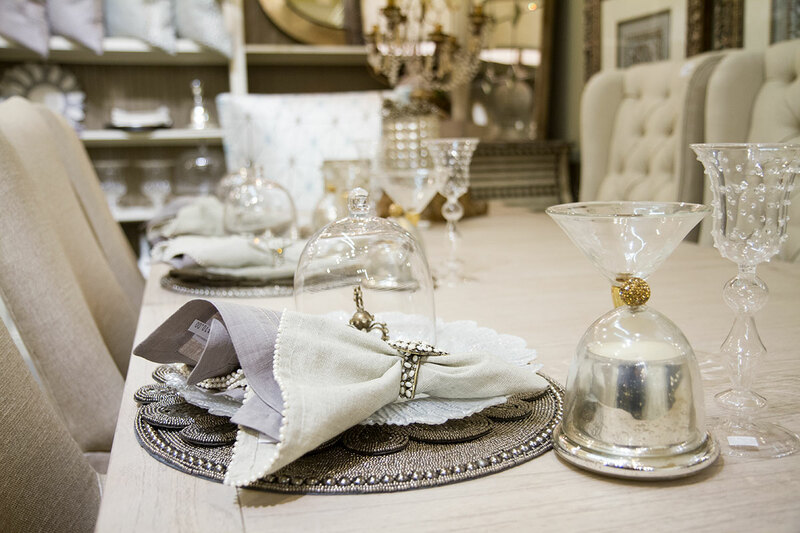 Vivacious vases and pearl-fringed napkins romp and play with glitzy platters and place mats. And no dinner party is complete without a set of shimmery, beaded napkin rings. Our Game Room is certainly a sight to behold, and the perfect place to pick out that special something for your Valentine’s Day dinner table. 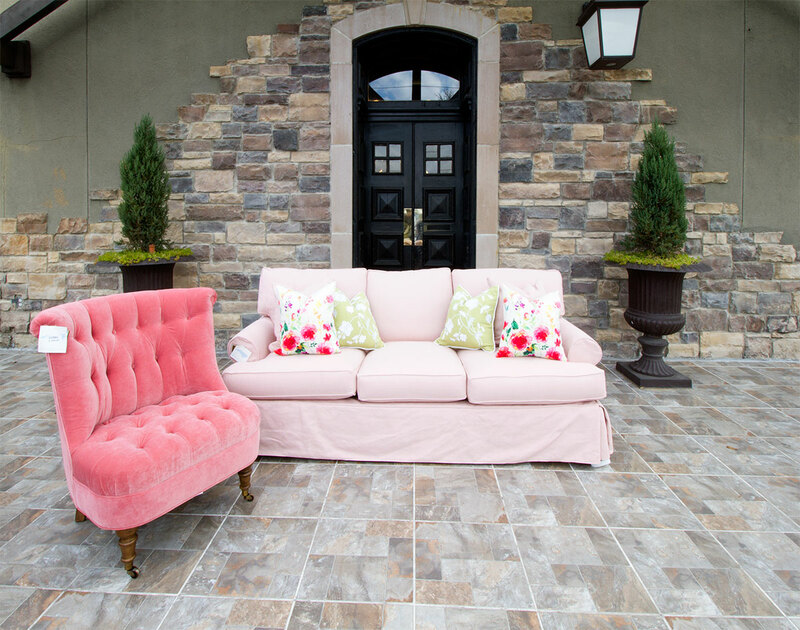 We here at Laurie’s still have Valentine’s on the mind – have you seen our new pink couch and chairs? Valentine’s Day also happens to be the deadline for our latest Instagram contest. Don’t forget to post and tag for a chance to win a gift card. 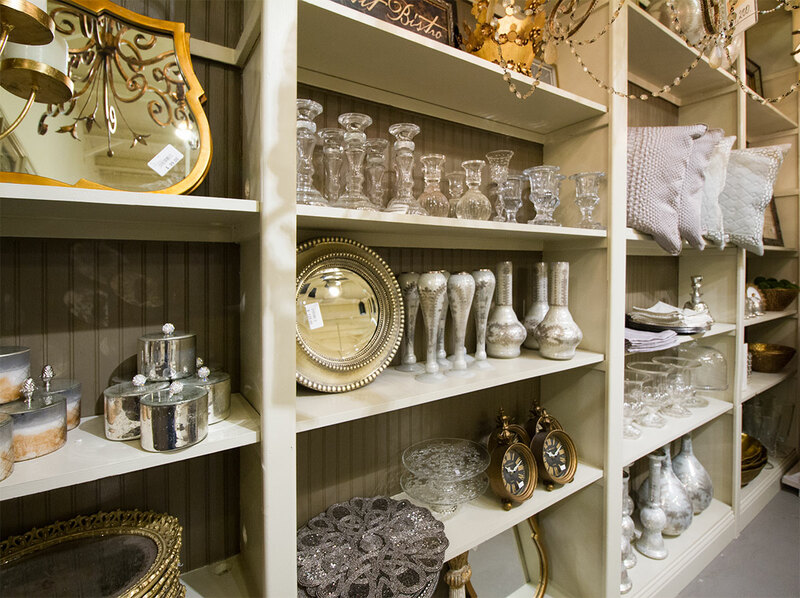 Make every day shimmer with décor from Laurie’s!